The general assembly was the occasion to vote for new statutes and to welcome 9 new members in the board. The day continued by a conference on ways to « Cultivate the optimism » by two outstanding speakers, authors of a book on this theme: Aurélie Pennel and Delphine Luginbuh. The afternoon was dedicated to workshops on Networks and Stereotypes. 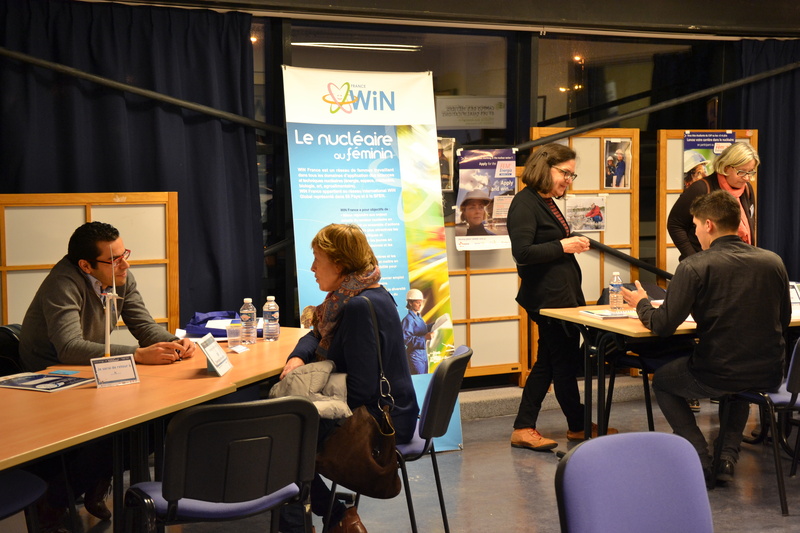 At the same time, a jobs forum organized by the French Nuclear Society and Nuclear Valley gathered hundred students and professionals of nuclear power industry. The final conference focused on jobs opportunities in nuclear power industry by Sylvie Richard, Deputy director of the EDF Nuclear Production Division and to Bernard Bigot, Director of ITER. They demonstrated that there are numerous challenges and thus numerous jobs in the nuclear industry. And at the end of this nice day, happy birthday WiN : 25 years old, a beautiful age ! First of all, on behalf of the Women in Nuclear Europe I would like to present our cordial congratulation on the occasion of your anniversary of Women in NuclearOrganization. 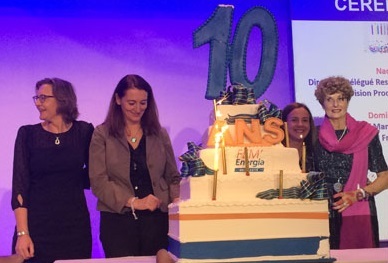 For these years I want to thanks to the members of Women in Nuclear France for their contribution and participation at the development of Win Europe. In my name and the name of Women in Nuclear Europe I want to wish you a course more beautiful, all the best on the ocassion of this anniversary. 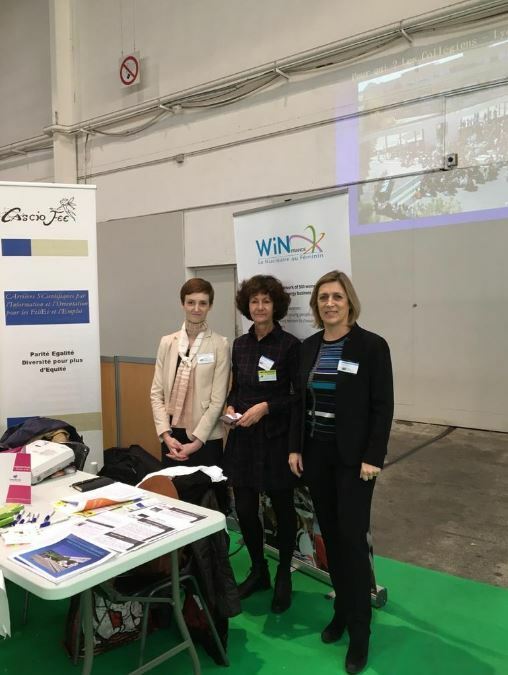 I hope to continue your active participation at the WiN Europe life and your organization to play an active role in more WiN projects. 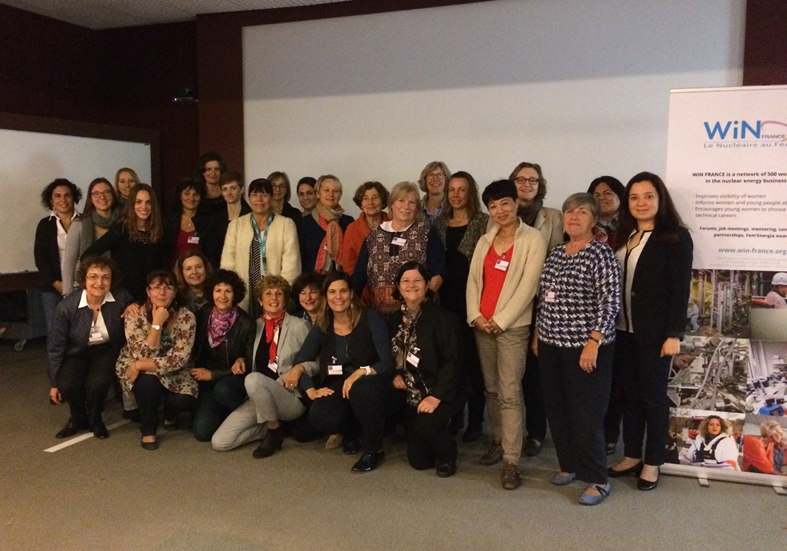 Warm greetings to all Women in Nuclear France members who stay at the beginning with our WiN organization. It is anniversary to represent open road to new and beautiful achivements in your organization! I bring to you the most sincerely greetings to all Women in Nuclear France members and for all, I wish more succes, health and many achievements in your work and life. 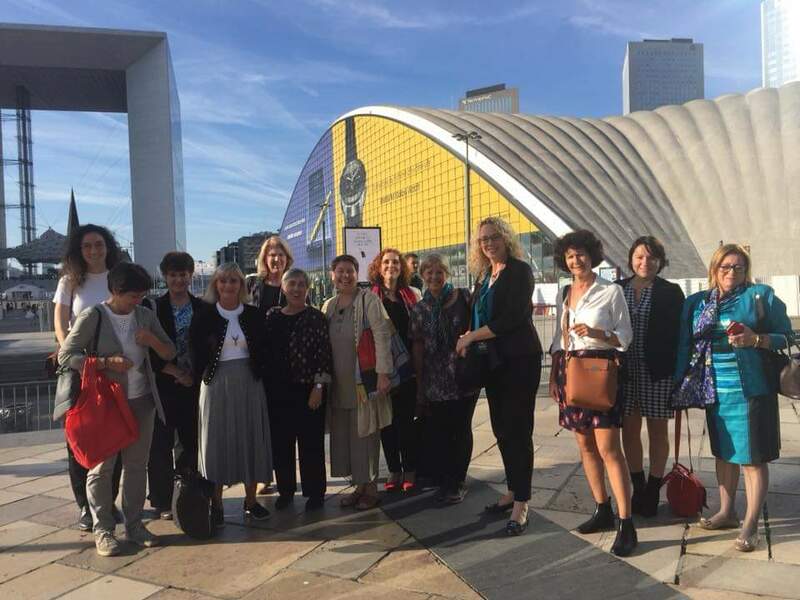 The fall WiN Global meeting took place in Paris around its president Gabi VOIGT. Since the last meeting more than 200 members have joined WiN Global, bringing to 35,000 the number of members with109 countries and 41 chapters including 4 new ones: Belgium, Bolivia, Cuba and Mexico. The next Annual meeting, organized by WiN Spain, will take place in Madrid from 17 to 21 June. 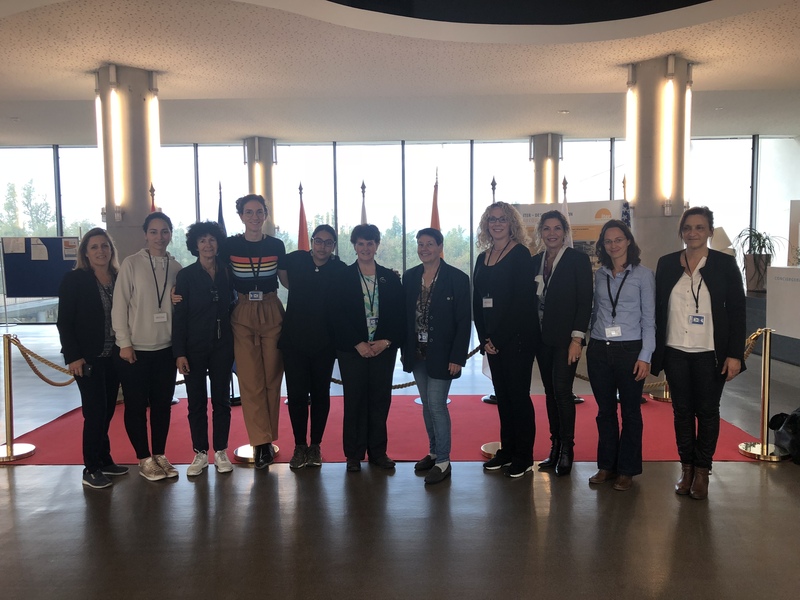 October the 17th, members of WiN Global and WiN South of the France had the opportunity to meet Iter Organization Women’s network composed of scientists and engineers. 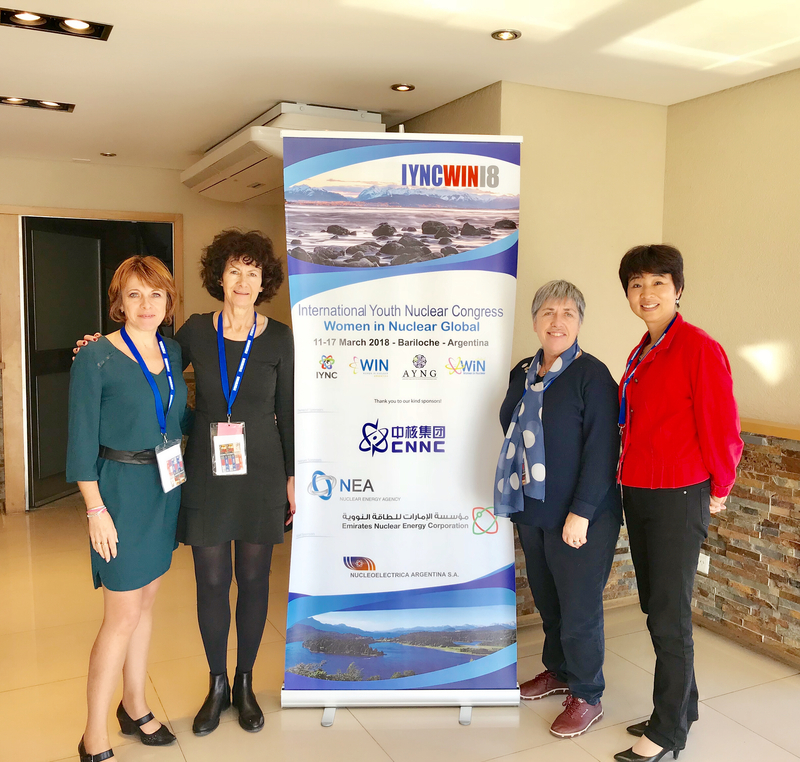 The WiN Global members included President Gabi Voigt, Vice President Heather Kleb, WiN Canada President, Frances Marshall, and Naida Dzigall from WiN IAEA. 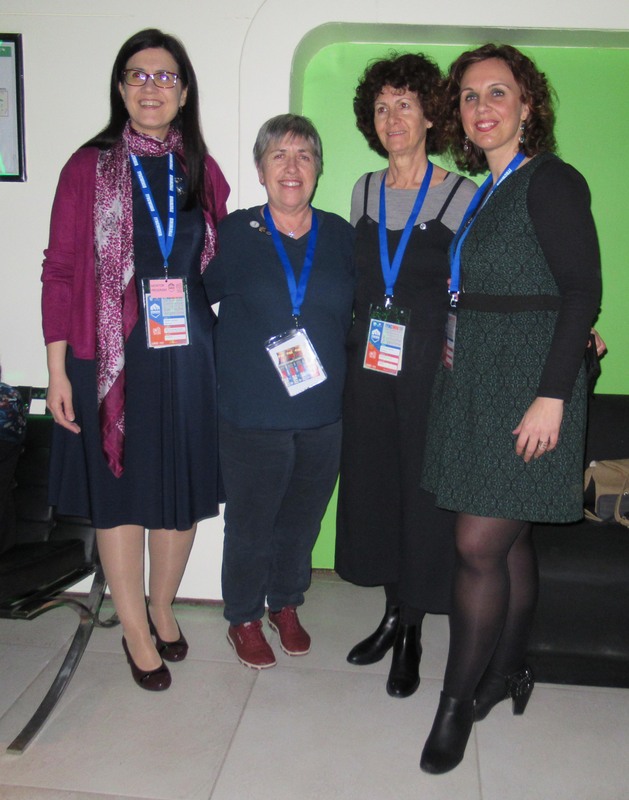 The WiN South of France group was composed with Patricia Schindler, Barbara Minot, Nadia Armogathe, Françoise Jadot. A visit tour followed the meeting. The October the 16th, in Paris, a beautiful ceremony for this 10th anniversary. Looking back at Fem’Energia awards Since 2009, 1115 applications have been received, including more than 60 award winners and more than 200 nominees, a beautiful result. March 2018 – FEM’Energia awards 2018 is launched for its 10th edition ! 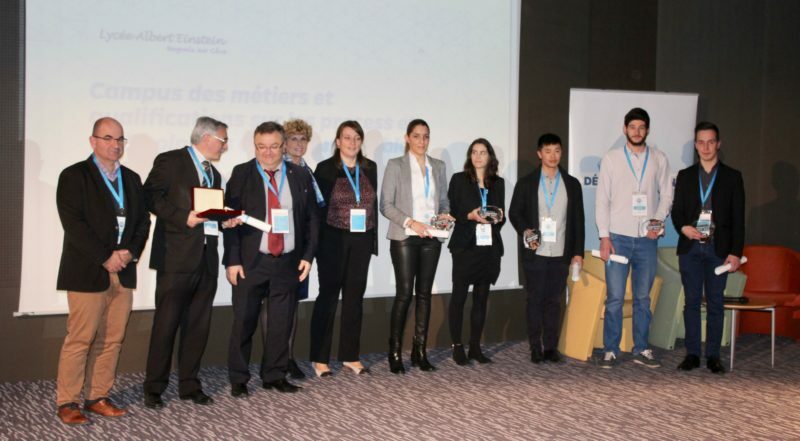 Since 2009, FEM’Energia awards in partnership with EDF and WiN Europe, aim to recognize the exceptional contribution made by female students and professional women to nuclear activities in France and Europe. Bariloche : Adoracion Arnaldo-Gonzalvez and Simona Zaharov (1st and 3rd price – Category Woman working in Europe) with Anne-Marie Birac and Patricia Schindler. 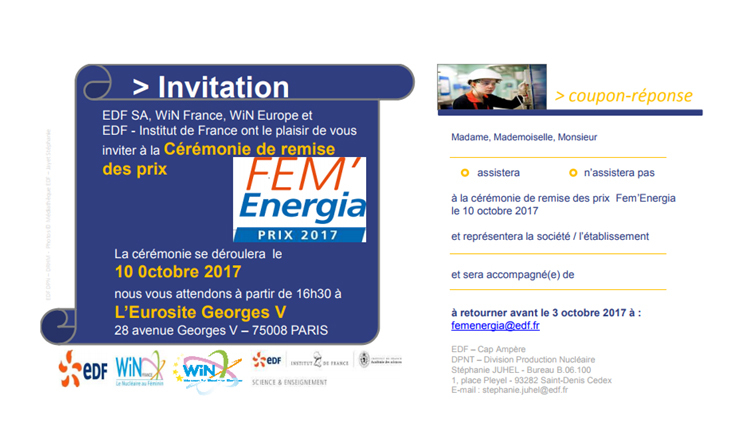 Since 2009, FEM’Energia awards in partnership with EDF and WiN Europe, aims to recognize the exceptional contribution made by female students and professional women to nuclear activities in France and Europe. The award ceremony is planned on 10th of October. 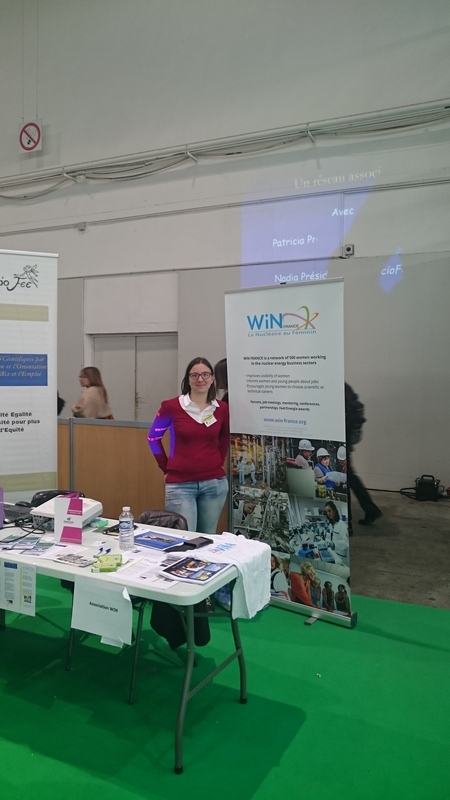 With the aim of introducing the job diversity in Nuclear Industry, especially for women, WiN participated in several Career Days at the beginning of 2017, like every year. 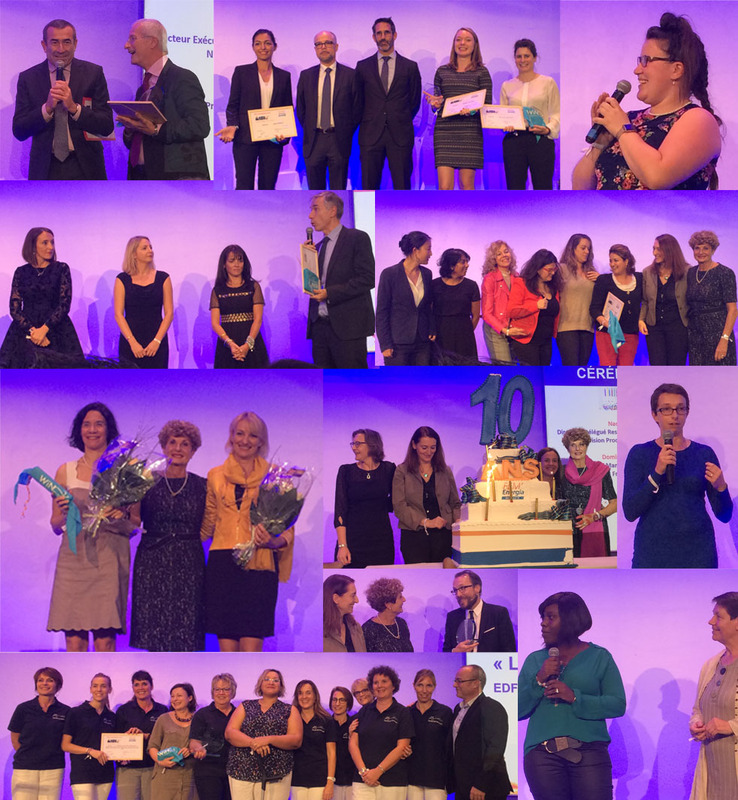 « La Nuit de l’Orientation » in Cherbourg, « Métierama » in Marseille, « Carrefour des Carrières au Féminin » in Bourgogne… More than 300 jobs are represented by companies, employers associations, state’s institutions, training institutions and associations like WiN, with the goal to inform schoolchildren, high school students, students or young job seekers. This event was organized by PVSI, the Center for the Valorization of Industrial Sites and was held on 14 December 2016 in Marcoule. The structuring of the nuclear dismantling sector, as well as its digital transformation, were the main topics for the debates and the round tables. for the Albert Einstein high school in Bagnols and its campus for trades and qualifications on processes and technologies in sensitive environments. November 2016 – WiN France thanks WiN UAE ! 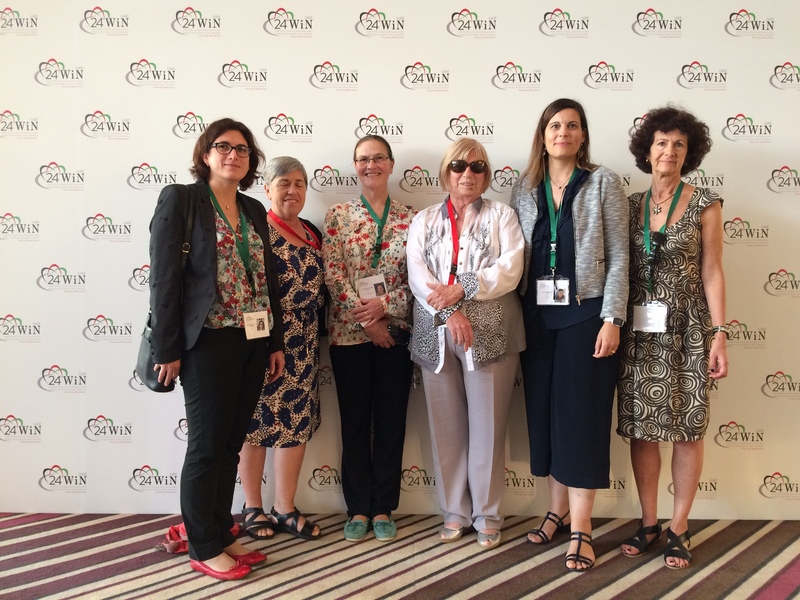 The french delegation present at WiN Global thanks very sincerely WiN UAE for the very exciting and welcoming congress in Abu Dhabi. Welcomed by the Atomic Energy and Alternative Energies Commission (CEA) of Cadarache, by Philippe BILLOT, Assistant Director in charge of the programs, WiN France’s general assembly took place on October 14th, 2016. 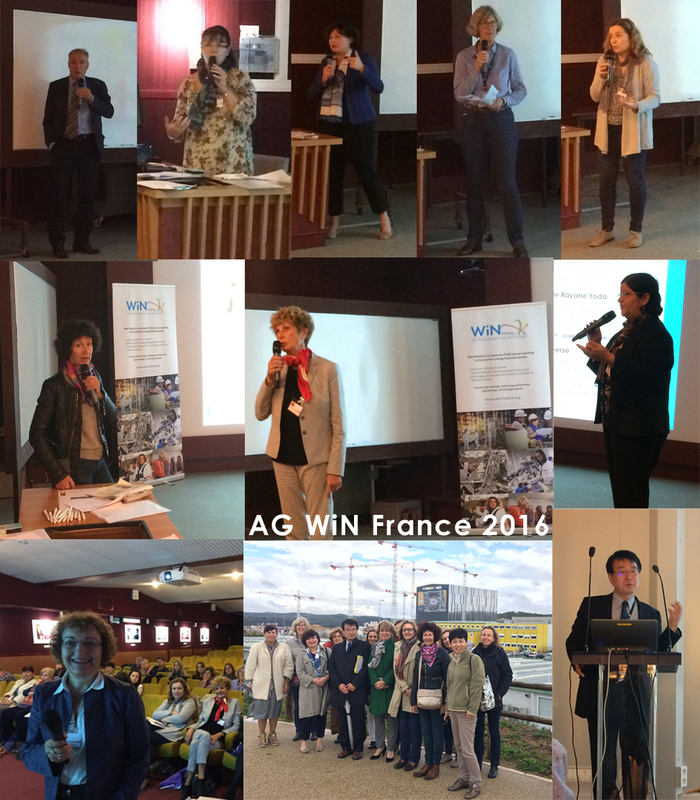 After the presentation of the numerous actions of WIN FRANCE 2016, in particular at a regional level, Dominique Mouillot concluded the general assembly by positive words which will guide WIN FRANCE 2017 actions, in particular by promoting the French nuclear sector beside the SFEN. * TORE SUPRA, with Jean Marc Ane, project leader at the research institute on the Magnetic Fusion.